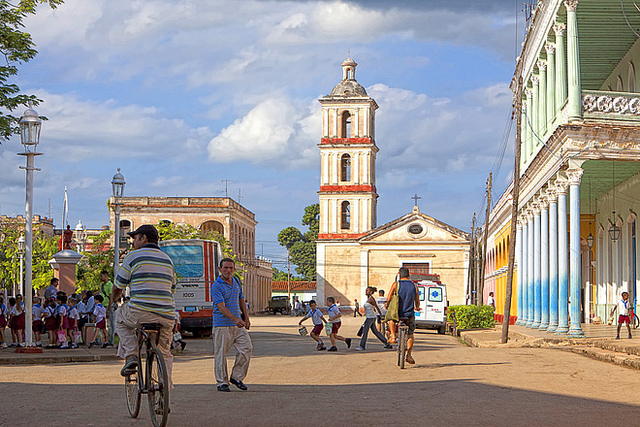 In Villa Clara province, Remedios looks like many small towns throughout Cuba. However, that's no poke. Its Spanish colonial charm, quiet streets, and lack of overall tourism make it a charming destination and one of our favorites. But Remedios is not like any other small town in Cuba. On the days leading up to Christmas Eve, street celebrations called Las Parrandas take place. Beginning in 1820, Las Parrandas is one of Cuba’s oldest festivals. Visit Remedios on insightCuba’s Vintage Cuba tour.